The new story from Public Radio International reports that Venezuela’s military has turned the country’s food crisis into a ‘racket’ and is profiting from the Venezuelan people going hungry. Food long used as a weapon by dictators around the world while their populations suffer, we see ‘2017 Venezuela’ a real world fulfillment of a recent warning from a history professor that we may soon witness ‘the fall of civilization’. The recent story from the Daily Mail reports that the rise and fall of civilizations can be predicted by a very simple equation and our civilization is in for a fall some time soon according to Mathematical Historian Professor Peter Turchin from the University of Connecticut. Warning us that his models predicted the rise in political turmoil that started 3 years ago, and that he expects it to reach its peak sometime in the 2020’s, he also warns the world we should be prepared for years of turmoil ahead. 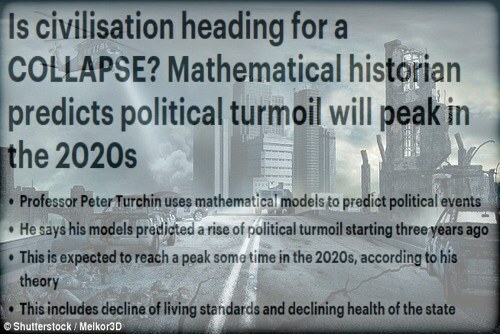 Claiming that current events place us ‘well on track’ for instability to peak in the 2020’s, we see in his mathematical studies more confirmation of the ‘Watchmen’s warnings’ yet wonder if his predictions of ‘turmoil peaking in the 2020’s’ might be a few years too late. Also claiming that the presidential election of Donald Trump in November “confirms this forecast“, we see Trump’s upcoming inauguration in 12 days as a very real possible preview of that ‘turmoil to come’, with anarchists threatening to disrupt the inauguration while preparation takes place at the highest levels for that anarchy with 5000 national guard troops coming to Washington DC on January 20th for Trumps swearing in. 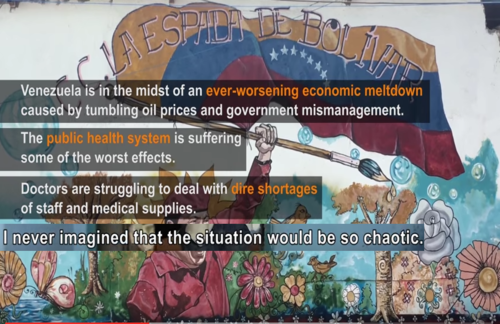 With Venezuela’s military taking over the food supply there and turning it into a racket, we see how quickly things can come completely undone and as has long been warned, we here in America are not immune to economic contagion and collapse. As financial writer Bill Holter recently predicted, ‘2017 will be the year of the truth bomb’. What will the end of 2017 look like? Holter says, “I don’t think it will even resemble what today looks like. I think you may see the financial system come down, and it may be by the end of the year that the system is coming back up or coming back on line. We are going to have a bank holiday. We are going to have to have some sort of reset. The reset will include a bank holiday. Your ATM won’t work. Your credit cards won’t work. Distribution is going to fail. It’s all about credit. 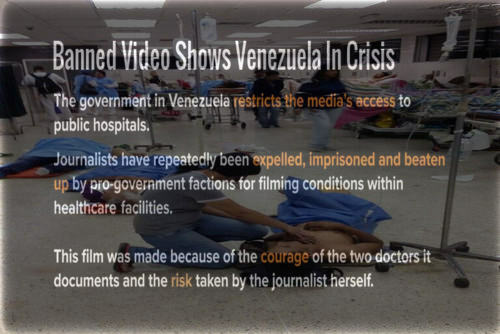 With Venezuela in chaos, medical supplies and medicines are extremely difficult to come by and as we see in the 3rd video below, a banned video in Venezuela as the government does not allow videos to be taken inside of hospitals in totalitarian 2017 Venezuela, what’s happening there should be a huge warning to preppers here. The new story from out of Mexico reports that the country’s week long gas crisis has spread to 25 states. Violence and chaos spreading in the streets of Mexico as seen in the 2nd video below, we see more confirmation in Michael Snyder’s new story over at the Economic Collapse Blog that the pain being felt in Venezuela and Mexico is being felt by millions of Americans here. Reporting that hundreds more stores are being closed down as America faces a very real ‘retail apocalypse’, we’ve long been warned that only 9 meals separate civilization from anarchy. In the 4th video below, Dave with the X22Report talks with us about the ‘retail apocalypse’ that America is now facing. And with a gigantic truth bomb possibly set to blow up in Americans faces in 2017, we’re reminded in the closing remarks below from Bill Holter that huge changes are likely coming to America, and paper assets and other numbers that Americans see on their portfolios are just numbers on paper – you won’t be able to eat them. Holter warns that what’s coming could leave most Americans living like cavemen. You can hear directly from Bill in the final video below.